Rev. Redmond A. Burke, CSV died in Oshkosh, Wisconsin on Tuesday, May 14, 1996, the 57th anniversary of his ordination to the priesthood. He was 81 years old. A native of Missouri Valley, Iowa, Father Redmond Burke pronounced his first vows as a Viatorian on September 8, 1932 and after theological studies at Kenrick Seminary in St. Louis, he was ordained to the Priesthood on May 14, 1939, by Bishop Henry Rohlman in Davenport, Iowa. 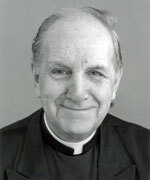 Father Burke dedicated his life in a long career of teaching and library work in higher education. He served as a professor and librarian at Dowling College in Des Moines, Iowa, Rosary College in River Forest, DePaul University in Chicago, Catholic University of America in Washington D.C. and finally, at the University of Wisconsin/Oshkosh in Oshkosh, Wisconsin. 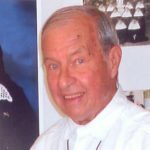 Father Burke was part of the faculty at the University of Wisconsin for over 25 years and was very involved in many academic and civic organizations in the Oshkosh area. When he was diagnosed with pancreatic cancer in December of 1995, Father Burke took up residence at “Father Carr’s Place 2B” in Oshkosh, Wisconsin. He died there peacefully on May 14th. A visitation and prayer service was held at Father Carr’s Place 2B, 1965 Oshkosh Avenue, Oshkosh, Wisconsin on Tuesday, May 21, 1996 from 3:00 to 7:00 p.m. with a prayer service at 7:00 p.m. Visitation was also held at the Province Center in Arlington Heights on Wednesday, May 22, 1996 from 3:00 until 7:30 p.m. with the Mass of Christian Burial taking place at 7:30 p.m. on Wednesday evening. Burial was in the Community Plot at Queen of Heaven Cemetery at 10:00 a.m. on Thursday, May 23, 1996. 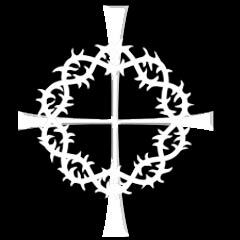 Father Burke was preceded in death by his parents, his sister, Mary Frances, and brothers Matthew, Brian, James and Emmett. He is survived by several nieces and nephews. Remember Father Burke in your prayers and gather together in local communities to remember him in Eucharist.